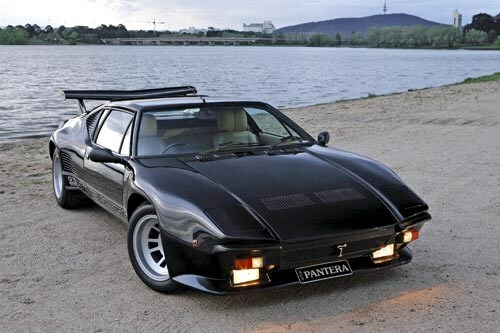 Black Panther: 1990 De Tomaso Pantera GT5S. This thundering Italian-bred V8 coupe is a testament to one man’s persistence and vision. 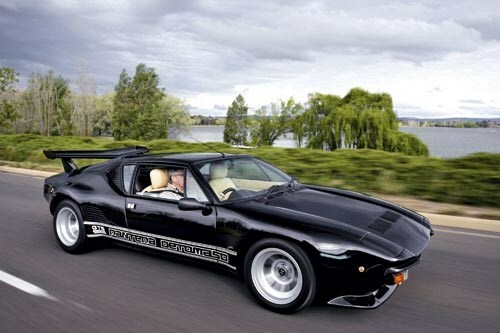 No other car in the history of De Tomaso stirs the blood with enthusiasts as much as the Pantera. Built over a long production run between 1970 and 1991, the muscular thoroughbred was primarily designed for the US market and towards the end of its life evolved into a very evocative package. 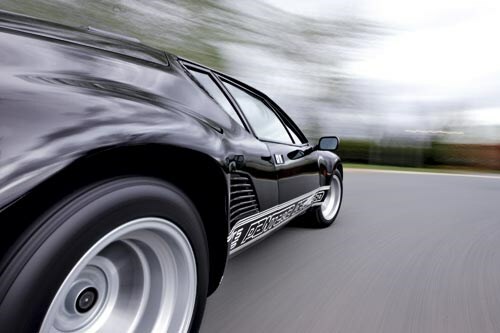 Launched as a combatant for General Motors' strong selling Corvette, the Pantera came along at the right time with the help of De Tomaso's long-time American partner Ford. The latter company needed an affordable mid-engined car and was desperate to lift its staid image - along with the Shelby Cobra program, the association with these somewhat mystical Italian cars seemed a very sound business decision. Such was the romance of the Italian marque that Alejandro De Tomaso was promoted by Ford as a patriarchal like figure much like Enzo Ferrari. 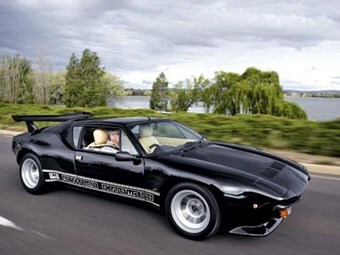 But like so many Italian exotics that grew out of the 1970s, the life story of the Pantera reads more like a melodrama. When first shown at the 1970 New York Motor Show, the prototype Pantera provided enormous promise. However, after selling around 6000 into the US market the partnership would prove short lived, with the American auto giant citing poor build quality, rust and reliability problems. Production of the Pantera would continue, but on a much smaller hand-built scale, and mainly for the European market. Over the next 15 years, a determined Alejandro De Tomaso would slowly turn his prized mid-engined sports car into something with desirability similar to a Ferrari, Maserati and Lamborghini despite the lack of a purpose-built pedigree engine. Like the Iso Grifo, Sunbeam Tiger and AC Cobra, the De Tomaso Pantera may have lacked the subtlety and refinement of some of its Italian peers, but the sheer cut and thrust of a large 5.7-litre American V8 engine more than made up for it. During its 21-year history just 7260 Panteras were built and the late-series low-volume hand-built iterations have, in recent years, become highly sought after by collectors. 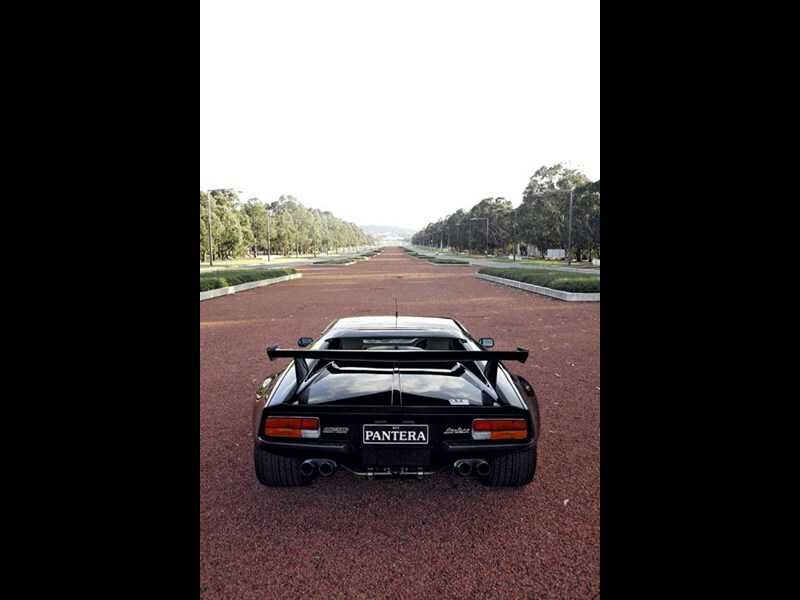 Getting a low mileage well cared for Pantera today is a hard call, though, and that's why Canberra builder Joe Manzano considers he's a very lucky man, as the recent buyer of this late-series 1990 Pantera GT5s. Ever since he saw a friend of his father pull up in a GTS in 1985, Manzano has been smitten by the Pantera legend. "I've always been fascinated by De Tomaso and long dreamed of owning one - I liked the idea of the V8 engine, it was a car I felt I could work on," he explains. "But getting a good original car seemed out of the question in this country and the good cars have all but dried up - for the last 15 years I've been documenting the cars that have been advertised in Unique Cars." With muscle car prices rapidly climbing in recent years, Joe thought he may have missed the boat to buy a good Pantera at the right price. "And then one night I was doing my regular trawl on the internet and up jumps a really low mileage car in the UK. A quick phone call and it's just what I want. So I bite the bullet and after checking out its credentials I buy it over the phone." Joe's Pantera is a beauty: a well-documented jet black GT5s with magnolia leather interior and just over 13,000 original miles on the clock. What's more, chassis #9543 is the last right-hand-drive GT5s model to have been delivered in the UK. Of approximately 140 of this model made, Joe's car is one of only 28 cars built in right-hand-drive, all sold by UK importer Emilia Concessionaires Ltd.
His car also has the optional Le Mans "moon shot" final-drive ratio which gives it a potential 300km/h top speed. Other extras include factory Recaro sports seats, an electric boot release, plus the optional carbon-fibre Lamborghini style wing, which was £850 extra at the time. It's aggressive and looks the part although its owner doubts whether it has true aerodynamic benefit. Like so many exotics of the period, the Pantera slowly evolved from a rather smooth two-door sports coupe into a very muscular and aggressive GT. Its designer, Ghia stylist Tom Tjaarda, worked with chassis and production boss Giam Paolo Dallara to produce a mid-engined GT conceived on a full monocoque chassis with subframe rails. 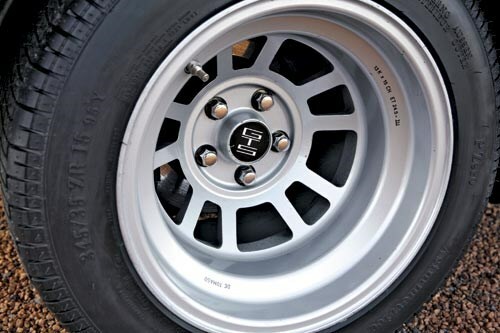 While the US market saw pumped-up GTS variants towards the end of the Pantera's life, and Europe the special edition GT4, the GT5 model arrived in 1980 with revised 'ground effect' styling followed by the updated GT5s in 1985. The somewhat crude, riveted-on fibreglass wheel arch flares of the GTS made way for smooth integrated flares and a wraparound front spoiler and took the Pantera into a different class. Suspension is double wishbone with coil springs, telescopic dampers and anti-roll bars all round and the steering is unassisted rack and pinion. Campagnolo magnesium alloys shod with Pirelli P7s complete each corner - 10-inch rims with 285 VR 15s on the front while on the rear, 13-inch rims with 345/35 VR 15s. It's enough rubber to keep you glued to the road surface under the most arduous cornering. The 5.7-litre V8 engine sits neatly amidships behind the cockpit fed by a single four-barrel Holley carburetor - the drive taken through a single dry-plate clutch to a five-speed ZF transaxle with limited-slip differential. Sliding my ample 95kg frame into the snug cockpit seems a bit daunting at first, however, with a few pointers from the owner on where to place hands and feet while bending low to clear the roof and feeding legs into the small footwell at the same time, I somehow manage to accomplish it without looking like a complete gawk. The severely offset steering - around 50mm to the left of seat centre with the foot pedals further offset to the left to accommodate the wide wheel arch intrusion - means you sit awkwardly across the car in snug buckets and wonder how the hell you're going to tame, with any finesse, the 5.7 litres of V8 sitting immediately behind you. Further complicating things is the clutch pedal nestled between the steering column and the centre foot well; it's obviously designed for narrow Italian designer shoes. 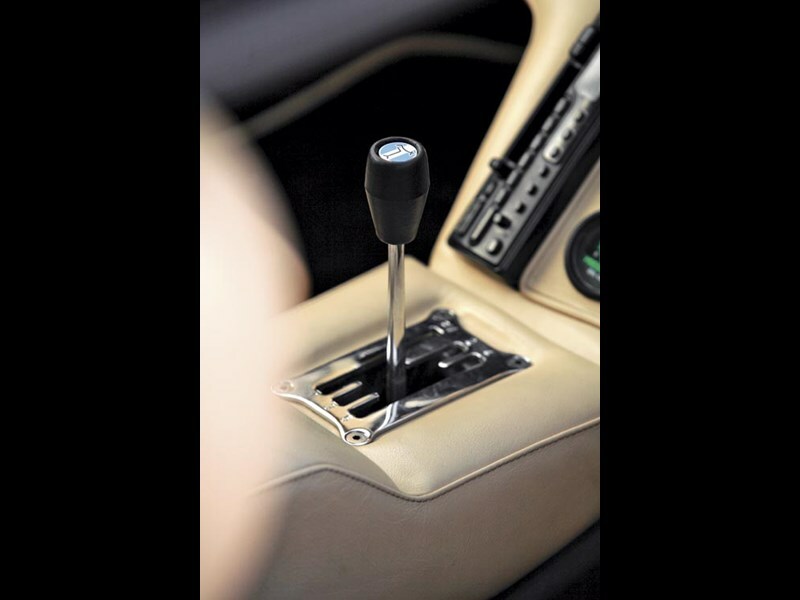 The pedals are mounted high up and snagging your right heel on the corner of the brake pedal is a distinct possibility. 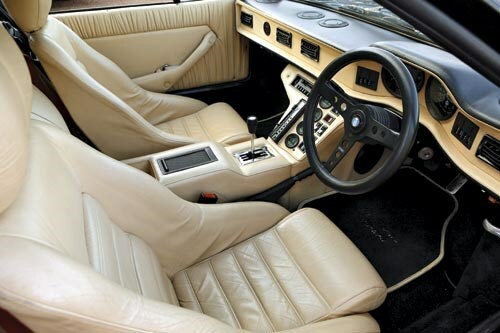 You can't help feel that this 1970s design was all about style and performance and little about comfort. Ergonomics? There ain't any. So here I am perched on one cheek, legs high in the air, almost ape-like, with no thigh support and with a low-set steering wheel that at best hides the top section of the speedo and tacho. I'm about to set off in busy Canberra with the owner, who has just invested huge sums of money on his pride and joy, seated in the camera car. I'm determined to do a good job but somehow I feel like a one-armed juggler. I fire the engine and the big V8 bellows into life and settles down into a lumpy uncontrolled idle. A quick jab at the throttle elicits a deliciously raspy note from the quad exhaust. While my left leg by now is slightly numb, the silky nature of the clutch on take-off is reassuring as I tap the enormous low-end torque and get the feel of this classic Italian GT. 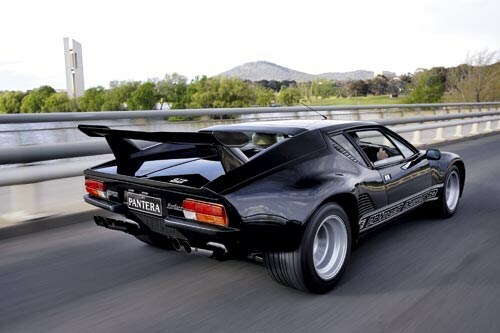 The Pantera, which incidentally is Italian for Panther, simply walks away with minimal fuss on few engine revs. First gear is down and to the left and the changes are stiff yet positive in a well-defined gate. The torque just flows like honey and, unlike a high-revving Ferrari engine, it lopes along pulling each of the five gears with ease. I soon forget my discomfort. At 100km/h the big V8 is burbling along at just 2300 revs with minimal fuss - on an Italian Autostrada at much higher speed it would be an absolute hoot. 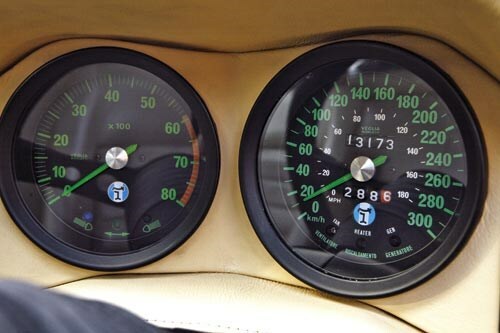 To reach 100km/h from rest the Pantera needs just over five seconds and it does it without much fuss. 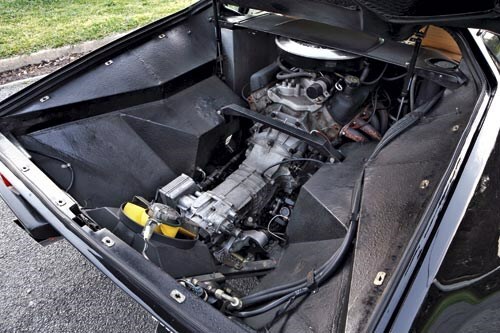 Early Panteras were fitted with Ford's Cleveland V8 sourced from the US, however changes to emission legislation in the mid-'70s put an end to its production. De Tomaso stockpiled engines for European use and, when they ran out, Ford Australia supplied its beefed-up Cleveland V8s until its supply dried up too. Towards the end of the Pantera's life, the Italian company was forced to use the Canadian-built 351ci Windsor V8 as used in Joe's car. With an 8.5:1 compression ratio it produces around 300bhp (224kW) at 6000rpm. With a strong degree of negative camber, the wide front tyres tend to 'tram track' with any type of camber change, especially at slower speeds. On the move, the steering is precise and communicative despite the lack of power assistance. The car's weight distribution, (42.6 front, 57.4 rear) and the excess of rubber, especially at the rear, gives it a delightful balance on road. However I suspect that, with its boundless torque, this 1400kg missile could become a handful on a wet road on the limit - but on a dry road it inspires plenty of confidence. Braking from dual circuit servo-assisted ventilated disc brakes, 287mm on the front, and 297mm on the rear, has good pedal feel and response although I didn't push them to their limit. While fit and finish of the handcrafted trim and interior fittings is at 1970s levels, the condition of the cabin on this Pantera, from its time spent mainly in an English climate, is first class. The rear luggage compartment is also surprisingly roomy. Covered with a moulded liner, it's easily removed by a number of quick release screw fasteners to gain access to the engine and transaxle. 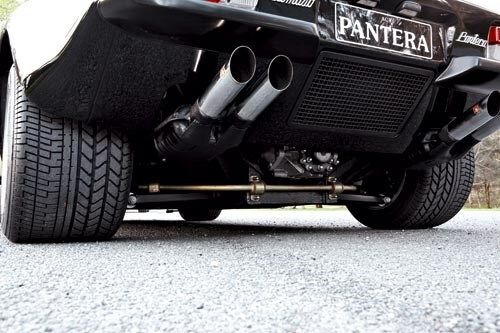 Joe Manzano has every reason to be proud of his Pantera GT5s. Just one of three in Australia and a select number of survivors around the world, it's a highly original car in exceptional condition. It's probably best for short trips rather than long distance motoring, but who cares? This is a car you can just sit and look at for hours. Standing out from the crowd is something that most De Tomaso owners in Australia are accustomed to. And, like Joe Manzano's Pantera GT5s, this De Tomaso Longchamps Spyder GTS of Melbourne's Michael Malingambi is another rare beast from the Italian marque. It's one of just over 400 Longchamps built, of which 14 were Spyder cabriolets. What's more, Michael owns two of the quite rare GTS versions: the low-mileage blue example pictured, with 351ci Cleveland V8 and three-speed auto, which he bought from the pages of Unique Cars, and an even rarer, unrestored GTS Spyder with five-speed manual 'box. Only a handful of the front-engined Longchamps were delivered to Australia when new, so to own two of these distinctive drop-tops must be a real treat.